We can help with all your housework needs from cleaning, laundry and ironing to cleaning the windows, defrosting the freezer and popping to the post office. Nothing is too much trouble and we charge a straight forward hourly rate for all our services. We can also arrange carpet and/or upholstery cleaning at very reasonable rates with a local company we work very closely with. You book a number of hours that suit your budget and needs and our team will visit and clean for the time you have paid for, no more and no less. All our services are at the same hourly rate, from cleaning to ironing and there are no hidden extras. The only additional charge might be for duvet laundering or shopping where we will charge you for our time and the external cost. You are only required to provide two weeks notice if you wish to cancel our service, however if you have a problem at all please don’t hesitate to call us on 01937 520356 to discuss. We are always happy to be flexible to your needs. Most of our clients set up a regular standing order to pay for their service. Payment should leave your bank account on the day of your clean. If you prefer, you can pay by cash or cheque made payable to Freshly Maid. You should leave this out for our cleaning team to collect on the day of your clean. If you forget to leave the cash or cheque out please leave enough to cover two visits next time. If you forget again, don’t worry we will call to arrange payment and to set up a standing order to make it easier for you. Our minimum service period is 2 hours. Bookings can be made for the minimum period plus increments of ½ hours thereafter. Can I change the number of hours I have booked? We specialise in tailoring our service to meet your needs. If you need extra time at short notice please don’t hesitate to call as we will always do our best to fit you in. Conversely, if you do not want us on your normal cleaning day for any reason please let us know at least 24 hours before or you will be charged in full. Most of the products we use are from a range of environmentally friendly professional cleaning products sourced from a local supplier. Where possible, all bottles are returned for reuse/recycling. Our cleaners usually work in teams of two and are fully trained and referenced for your peace of mind. All new team members work with a senior member of the team during their training to ensure they understand the quality and consistency required, and during their first two weeks clients receive extra time free of charge to ensure they receive the same great standard every time. Will it be the same cleaner every visit? We cannot guarantee the same team every visit, however we do try to ensure that at least one person was at your home last time to maintain some consistency and routine. We also use comprehensive client notes to ensure consistency is maintained and our team are very good at communicating with each other regarding clients needs and special requests. Who will be looking after the keys to my house? We use security coding for your keys. All keys are kept separate from your name and address information in a lock box. On the day of your clean the keys are provided to your cleaning team along with your client notes sheet. At the end of each day, all keys and client notes are returned. Some of our senior team are key holders for specific clients, however all our staff are fully referenced and we also have lock replacement insurance for your complete peace of mind. What if I’m not happy with the cleaning? If you are not completely happy with our service, then please tell us within 48 hours in order that we may remedy the situation. We guarantee the quality of our cleaning and will return or add on extra time next visit if necessary at no charge. How do you maintain standards every time? We will create personalised routine notes for your home with information about special surfaces, pets, etc and with a section to keep a note of housework routine items such as windows, etc. Our branch managers are also on hand throughout the day to support the cleaning team to ensure they have everything they need and to check standards when required. They will also be in touch with you on a regular basis to check if we need to make changes or if there are any problems we need to address. Do I need to tidy up before you come? We usually advise that you have the house as clutter free as possible so you make the most of your cleaning time but we understand that everyone leads busy lives and so we are happy to pick up, wash up and tidy up where necessary and possible. Our aim is to help you in whatever way is needed and if that means making the beds and putting the kids toys away - no problem. Will you move all the furniture to clean? Where possible, we will move furniture to clean, but of course we may not move everything every visit. We will aim to work to a sensible housework routine that means sofas, tables, etc are moved on a regular basis. Will you clean the windows too? We will clean interior windows using a sensible housework schedule (usually quarterly). We do not clean the outsides and can only clean windows that are reachable using a small stepladder. What about ovens and fridges? We are happy to clean inside the fridge and even give the oven a quick wipe out when necessary. Just ask and it will be done at our next visit. If your oven is really dirty then we recommend you use a professional oven cleaning service as that will be a more cost effective solution than paying us for scrubbing time! We are insured for public liability, employer's liability, theft, telephone misuse, cleaning product use and consequential loss of keys. Freshly Maid will meet any policy excess in these categories for you to ensure total peace of mind. All our teams are fully trained and endeavour to treat your home and possessions with the greatest care, however in moving many items in your home, including the operation of blinds, etc there is an element of risk that items may be damaged. Our accidental damage insurance is subject to an excess of £250 and we do not provide cover for accidental damage for the first £250 of any loss. Your household insurance will usually have a smaller excess so it’s usually better to claim on this if necessary. 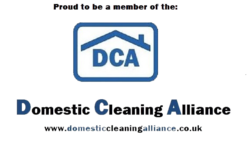 You will always be informed if anything is ever damaged by our cleaning team. Please inform us of any items that are irreplaceable, so that we can make special arrangements. What about bank holidays, etc? If your scheduled cleaning day falls on a public holiday, then this clean will not take place. We will reschedule to another day or default to the next scheduled visit, whichever is your preference. Please note we will be be closed for the Christmas and New Year holidays from Friday 21st December until Tuesday 1st January inclusive. We will be working as normal up to and including Friday 21st December 2018 and will then return to work after the New Year on Wednesday 2nd January 2019. We will of course contact you nearer the time to schedule extra “help I’ve got relatives coming” cleans and to reschedule if necessary. We are happy to be flexible if you do not wish us to come whilst you are away, however we would recommend that you use the cleaning hours you have booked and have the freezer defrosted, kitchen cupboards cleaned out, etc. Of course it’s also great to have someone popping in to pick up the post and water the plants too! What if the weather is too bad for you to get to me? If we can’t get to you because access is too dangerous or impassable due to snow, ice, etc then you will still be charged for your normal visit. The reason we do this is to ensure consistency for our team and business. However, we don’t expect you to pay for service you haven’t received so we will ‘make up the time’ at subsequent visits to ensure you receive the hours you have paid for and our team get paid despite bad weather. I love my cleaner, can I have her? We really hope you do love your cleaner, however we love her too! We are sure you will understand that during the provision of your Freshly Maid service and for a period of 12 months after any cancellation, you may not employ any staff that are or have been contracted to Freshly Maid. Freshly Maid reserves the right to claim any damages, loss of earnings, recruitment costs, training costs and any court costs where appropriate, subject to a minimum of £250. What time will you come? We cannot usually specify a time for our team to clean although we will try to do so if needed. We generally work between 9.00am and 4pm Monday to Friday, Saturdays by special request. The only thing you need to provide is a home and a key! We will bring all the equipment, products and materials we need to clean your home effectively. But please ensure all wardrobes, cupboards, shelves, blinds, etc are securely fixed so we can be sure our team are working in a safe environment.